Winning a football world cup is every nation's, every player ’s, every fan’s dream. It takes more than just sheer talent to win the prestigious tournament. Russia is hosting the 21st edition of FIFA world cup these days. In the previous 20 editions, only 8 nations have managed to win it showing how hard it is to win the biggest prize in football. Brazil have been the most successful nation at FIFA world cups winning 5 times. They are followed by Italy and Germany both been the champions on four occasions. After its Argentina and Uruguay who have the trophy twice. Then its England, Spain and France who have each won the trophy once. If winning a world cup is such a hard task imagine winning a world cup without being defeated. Of 20 world cup winners, 17 have claimed the trophy undefeated- this show what kind of dedication and determination is portrayed in order to win a world cup. The inaugural FIFA world cup was hosted by Uruguay in 1930 to commence the beautiful journey we all be a part of every 4 years. Only 12 teams took part in the first world cup of which united states of America, Yugoslavia, Argentina and Uruguay managed to reach the semi-finals. Uruguay met Yugoslavia and Argentina squared off against the United States of America to decide the first ever finalists of FIFA world cup. Uruguay won comprehensively against Yugoslavia 6-1 whereas the scoreline in the other semifinal read the same in Argentina's favour. 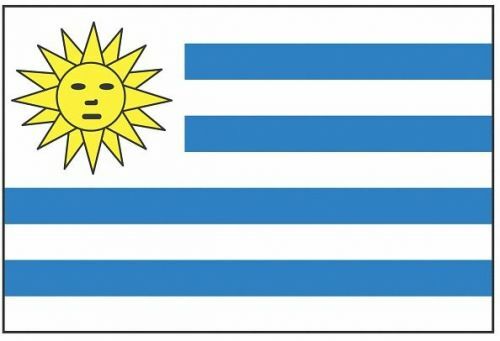 Uruguay vs Argentina was the first final in world cup history. Argentina led against the hosts at halftime scoring 2 goals to 1 but Uruguay pulled 3 goals back in the second half to be crowned the first ever champions of the world. This was a repeat of 1928 Olympics final which was also won by Uruguay.